How do you determine what size your FRP grating panel should be? In our previous blog, we discussed how to ensure you have a strong enough grating for the job, you know what thickness grating panel you need but what are the overall dimensions you should order to ensure a correct fit. There is no standard sheet size for moulded or pultruded grating, Pultruded FRP grating is generally made to made to order. FRP moulded grating comes in different size sheets from different manufacturers but generally, there are 2 most common sizes. E.g. ; 4000mm x 1220mm from manufacturer A and 3660mm x 1220mm from manufacturer B. Other widths and lengths are available but these two sizes are the most common and based on the imperial standard sheet size of 12’ x 4’. If you are ordering a number of whole sheets, you can decide the sheet size you prefer.  Argos FRP has a 4metre long standard for moulded sheets because it is more likely to fit with client’s requirements. Sheets cut to width and Length. Now let’s look at how to determine the overall dimensions. Let’s say grating is required for a walkway that covers an area 1.2 metres wide and 80 metres long. The sheets will be cut to 1.2metres wide and the remainder will use the 4metre long sheets from stock. Any material used as flooring in a walkway that length will be subject to expansion and contraction, so a gap will be required between each of the 4 metre long sheets to allow for that. How much of a gap ….? AS 1657 states that the maximum gap between adjacent sheets can’t exceed 10mm so Argos FRP has adopted a practice of allowing a 5mm gap between sheets to accommodate any expansion and contraction issues. Different materials, of course, have varied rates of expansion and contraction but as a rule of thumb, 5mm is adequate for both moulded and pultruded FRP grating. So… how many sheets do you need? The answer is 19 sheets at 4metres long + 1 sheet at 3905mm long. the 5mm gap between sheets also allows for easier installation and removal on site. Let’s say you require grating panels that are smaller than a standard sheet and have cutouts at the edges or through the middle of the sheet. How accurate can a sheet be cut ….. answer: a grating panel can be cut as accurately as any sheet of material. We can use water-jet cutting for instance that can cut any thickness of grating to tolerances of +/– 0.5mm. There is a more economical and quicker method and that is to cut to size from stock sheets with a diamond blade saw. The image from our website download shows a load bar with an average thickness of 6mm. It is a difficult process to cut along the length of a load bar and provide an acceptable finish, and because the large diamond saw we use has a blade thickness of 3mm, we prefer not to do this. So if you require a quick delivery and require an economical cutting option, we can cut either side of the 6mm thick load bar. This is why we have the +/– 6mm tolerance in place. When moulded or pultruded grating is cut, the load bar fingers that are left exposed will be sealed with a suitable resin. If a completely banded finish is required, i.e. flat load bar around the perimeter, we can attach a grating bar to give this type of neat finish. IF IN DOUBT ….. just ask Argos FRP. We’re happy to assist you with the dimensions and type of finish you need!